Multiple well organized windows on your desktop getting you geared up for multitasking. 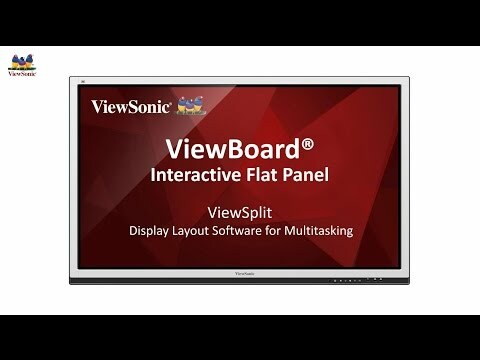 ViewSplit is software designed to increase efficiency and boost productivity exclusively on ViewSonic monitors. It allows users to place task windows into predefined organizational templates or into their own customized layouts. Task windows are displayed according to a user’s preferences and allow users to analyze multiple pieces of information at once without needing to make any additional adjustments. ViewSplit features Windows Swap and Auto-Fit Region, which allows users to prioritized task windows and conveniently position them for easy access. The Last Layout Memory feature allows users to access their previous templates quickly and effortlessly. In addition, the software supports multiple monitor usage for optimized productivity. ViewSplit is the ideal software solution for efficient organization of multiple desktop windows. 10 predefined intuitive templates that can divide the desktop into 6 distinct windows makes viewing, comparing, and working on multiple projects simultaneously both easy and efficient. Users can create their own customized layout to fit their preferences. Up to 6 customizable layouts can be saved in total. The software comes equipped with windows swap, which is a handy tool for prioritizing and moving task windows for easy access. The auto-fit region allows users to simply drag and drop windows into place without needing to make any additional adjustments. The last layout memory lets users to access their previous templates quickly and effortlessly the next time they use ViewSplit. The main menu will shrink down automatically when the program is working in order to reduce clutter. Updates can be done conveniently using Over-The-Air (OTA) updates. ViewSplit can be applied to the ViewBoard large format display, giving users the option to split their screen into a maximum of 6 different task windows. Multiple users can interact with content on the screen simultaneously by using either their finger or a stylus for more dynamic group discussions.